While the details concerning the events that led to the accident are vague at this time, police were able to confirm that emergency medical crews were immediately dispatched to the scene. The injured motorcyclist was airlifted to the hospital to undergo urgent treatment for their injuries and the driver of the vehicle was also hospitalized as a result. Neither the identity of the motorcyclist nor the driver of the vehicle has been released and the cause of the crash remains under investigation. Route 25A was shut down between Miller Place Avenue and Echo Avenue as crews worked to clear the scene. Our most genuinely heartfelt sympathies are extended to the injured victims, first and foremost. We preserve our hope for their full recoveries at this time. 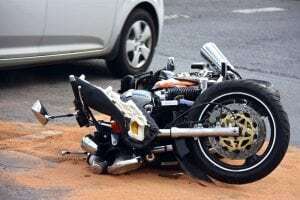 Motorcycle accidents in New York are often seriously injurious or fatal since there is little to no protection in place for the rider at the time of impact. While it may be challenging, it is imperative for victims to understand that they may have substantial rights moving forward. Our New York accident attorneys at Hach & Rose have dedicated their lives to helping those who have suffered due to the actions of another party or other entity. We realize that there is nearly nothing as difficult as dealing with an unexpected injury and we are here for you 24/7 to answer any questions you may have.